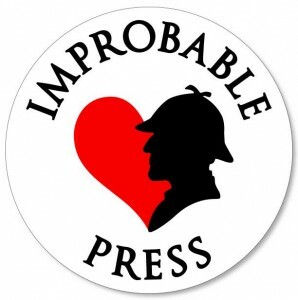 Interview with Type 40 – Pop Culture artisans! 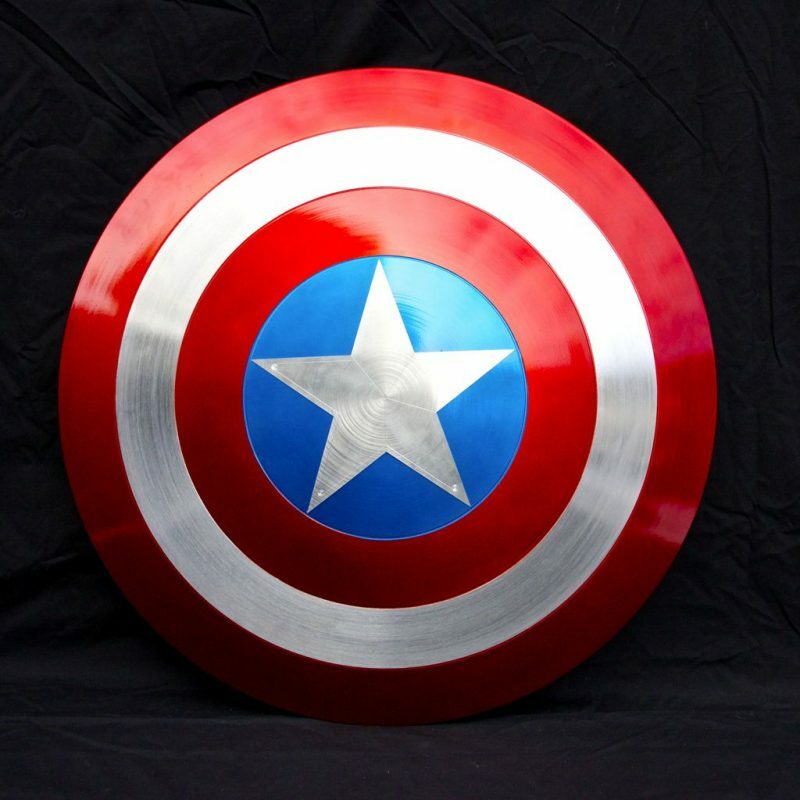 If you’ve ever attended a Supernova, Armageddon or ComicCon event in Australia, chances are you’ve seen one of the amazing Captain America shields or Thor hammers built by Allan Carey of Type 40 in Melbourne. Allan is also known as ‘The TARDIS Guy’, so he has his fingers in many geek pies. 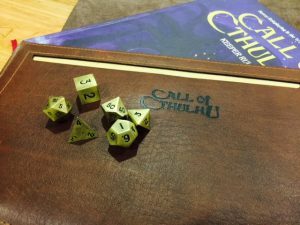 Right now, Allan and Type 40 are running a Kickstarter campaign for a series of beautifully designed and made Call of Cthulu leather document wallets. Naturally, I wanted to ask him all about it. 1. You’re well known for your Captain America shields and Thor hammers – what led you to Cthulhu-embossed leather document wallets? 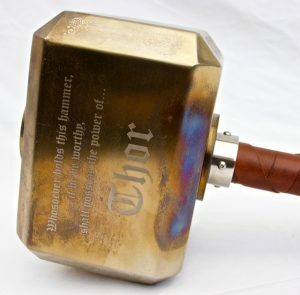 I’ve spent years making shields and hammers for fans, enthusiasts and collectors and have even made a shield for Stan Lee and a hammer for Chris Hemsworth. I love making them and my love of comics and superheroes was the reason I made them in the first place. 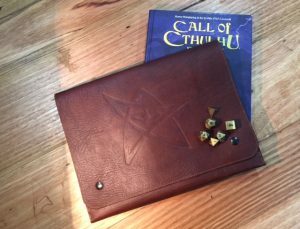 In fact, most of what I make is because I want one and that’s exactly what led me to making the leather document wallets for Call of Cthulhu, the role-playing game. I have been playing the game for over 30 years now and still run a game for friends weekly. So when I had the occasion to meet Michael O’Brien from Chaosium, the company that owns the game, it was an exciting opportunity for me to approach him and ask if I could produce some high end items for their game. 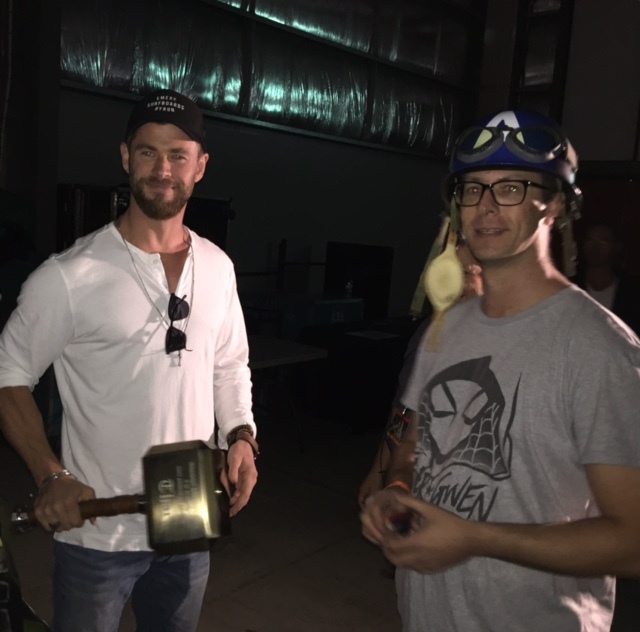 Some people show appreciation for the things they love by buying merchandise, collecting memorabilia or even writing about them. I make things. It brings me a lot of joy and I get to keep the first one I make. 2. What’s been the most challenging part of creating the wallets? A big part of developing a new product, especially bespoke, handmade items, is that if you are going to make more than one, you have to have a reliable and repeatable process. So getting that right is by far the hardest part. Making sure that each one carries the same level of craftsmanship and the quality doesn’t dip at all, no matter if you make 1, 10 or 100. The other part was choosing which symbol to emboss in the leather. In the end we chose classic and highly recognisable symbols from the game Call of Cthulhu: the Elder Sign which protects against evil and the Great Old Ones. We also commissioned an original piece of artwork by Seth Laster as an extra special add-on. We like to go the extra mile. 3. What’s been the most rewarding or fun part? It would have to be working on a game and with a company that I have been both a fan of and a loyal devotee to for over 30 years. The games they produce and write have been formative in how I view role-playing games and who I write and run my own games since my first taste. I can’t believe how lucky I am. Alongside that, I would say that seeing the official logos of Chaosium embossed on the leather prototypes was very exciting. Something I made with the logo of something I’ve loved blew my mind a little. 4. What has been the reaction to the wallets during the Kickstarter campaign? Good, very good. Because it is a Kickstarter, most people won’t see the product until it is in their hands and that can be difficult. My portfolio is filled with items that do look good on display but are designed to be held and touched. It is the same with the wallet: it is meant to be touched and used. However, that hasn’t stopped people backing the Kickstarter. People are excited and have even been asking when we will do something similar for Runequest. 5. For those who love the idea of the wallets, but Cthulhu not so much, do you have plans for other pop-culture related leather goods in the future? 6. What’s your favourite thing about your work at Type 40? Definitely the feeling I get when I hand over a piece I have made for someone. The look on their face, the joy in receiving their new shiny shield. I know this feeling, because even after all these years, I still get that feeling each time I finish one in the workshop. I’m basically turning adults back into children for just a moment. It’s amazing.